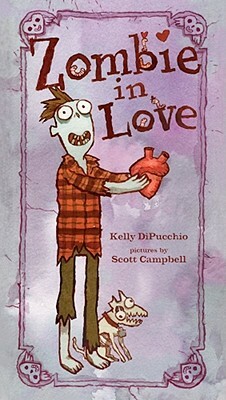 I’m just going to put this out there – Zombie in Love by Kelly DiPucchio and Scott Campbell might be one of the coolest picture books I’ve ever bought for my daughter. And it’s that great kind of cool where my daughter is really enamored with it – after our first reading, she loudly declared “Put that on my bookshelf NOW” – and I’m really into it too. Yes, it helps that one of my favorite artists of all time illustrated it, but, as a nerdy pop culture guy in his ‘30s, Zombie in Love speaks to a lot of my interests. Now my daughter has her own definite areas of interest – princesses, astronomy, the music of Debbie Harry and David Bowie, words that rhyme with “poop” – and perhaps my favorite of her latest reoccupations is her growing interest in monsters. Monster-loving three-year-old girls are super, super cool. There’s the Monster High dolls, which are really popular right now and… sigh, I guess they marry together the “princess” and “monster” interests for young girls and my daughter is besotted with them right now, but… why do their outfits have to come from the Czech prostitute fashion outlet? Their clothes are HORRIBLE. We let my daughter have one for her birthday – after months of pleading – but we insisted on picking out an “appropriate” one (i.e. had most of her clothes on) and that’s the only one she’s ever getting. Nightmare Before Christmas is a fantastic story because it presents the monsters in a very human, relatable way without sacrificing their inherent monster-ness. The vampires still drink blood, the witches still fly around scaring people – but they have humanity. They fall in love. They have personalities, friends, interests. They can be monsters without being mean or vindictive or cruel and THOSE seem to be the kinds of monsters that my kid really, really responds to. All of this is a big lead-up into explaining why I thought Zombie in Love was a perfect book for my daughter, particularly during this stage of her monster obsession. SO much cuter than those guys on "The Walking Dead"
Zombies got on her radar a while ago – either through Scooby Doo or Monster High or just cultural osmosis – and we’ve had MANY conversations about zombies over the past few months. “Are they dead? If they’re dead, why are they walking? Are they mean or just hungry? What if I don’t want them to eat my brain? They’re not real, right?” She’s a little horrified by zombies, but also very, very interested. I think it also helps that she’s starting to reach that age when “gross stuff” becomes almost inexplicably cool to a young child. The idea of a monster shambling around and accidentally losing a leg doesn’t fill her with dread. It makes her giggle. If your child is starting to get interested in monsters, I can’t think of a more ideal book for them than Zombie in Love. Much to the credit of author Kelly DiPucchio, the tone of the book is dead-on for a young audience. 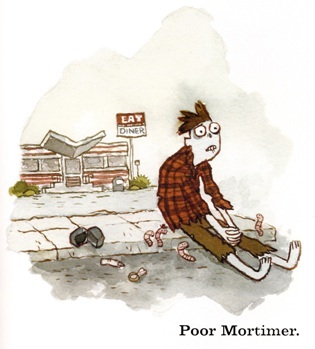 It doesn’t shy away from the inherent gross-ness of a zombie, but, at the same time, Mortimer the zombie – the lead character – couldn’t be more sympathetic, non-threatening, and relatable. He’s just a lonely, lonely guy who really wants to find a sweetheart to take to the upcoming Cupid’s Ball. It’s not his fault that most ladies don’t share his interests… which largely involve rotting body parts and eating brains. 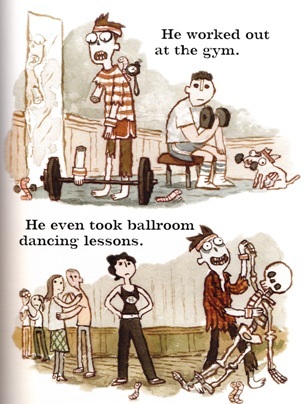 Making zombies palatable for young children might seem hard to do, but DiPucchio and Campbell make it seem easy. Like the creatures in Nightmare Before Christmas, Mortimer isn’t malicious in the slightest – he just has macabre tastes and happens to be a walking corpse. I’m hyper-sensitive about things that could potentially scare a child and Zombie in Love doesn’t do anything to tweak my nightmare radar. The only pre-check you might want to do with your kid before reading the book is whether or not they react poorly to “gross stuff.” And the gross stuff itself is pretty innocent – things like… Mortimer tries to give a woman a diamond ring… that still has a finger attached. It’s pun fodder more than anything. You've got to give him credit for putting himself out there. DiPucchio gets a lot of mileage out of Mortimer’s attempts to woo himself a girlfriend. 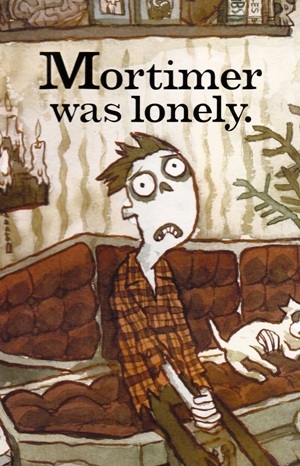 And the text hilariously ignores the fact that Mortimer is a zombie, which allows Campbell the ability to step in and deliver the punchline with his art. DiPucchio tells us, “He gave the mail carrier a shiny, red heart,” and Campbell then shows us that the heart is, of course, a real one. The only place in the text where DiPucchio overtly acknowledges Mortimer’s zombie nature is when he places a personal ad in the newspaper. The ad is very funny, particularly for parents once they realize that the ad is set to the rhythm of Rupert Holmes’ “Escape (The Pina Colada Song)”. And so on. DiPucchio gives the book a real deadpan sense of humor, which is wonderful, but, for me, it’s Scott Campbell’s artwork that makes Zombie in Love into a classic. But, please realize, I am CRAZY biased on this one. So… yes, I’m coming into this one with a LOT of baggage (you’ve been warned), but that doesn’t mean that Campbell’s art isn’t amazing in Zombie in Love. The level of personality and craftsmanship in his ridiculously detailed and textured watercolor paintings is something to behold. This long, tall picture book is just beautiful. And there are jokes, side glances, and fun pieces of visual business packed into almost every inch of Campbell’s pages. My particular favorite is the Greek chorus of friendly worms that follow Mortimer around wherever he goes. The worms were a BIG hit with my daughter – and reminded her of a particularly beloved episode of Sesame Street (which stayed on our DVR for three years) in which Oscar the Grouch’s pet worm, Slimy, fell in love with a new worm named Glow. Campbell is a master of giving his illustrations either a sense of optimistic wonder – almost everything he paints seems to be smiling in some way – or sense of non-threatening introspection. We have nothing to worry about from Mortimer the zombie. He just wants to be happy like everyone else. And the story comes together nicely in the end – when Mortimer, all alone at the Cupid’s Ball, realizes that his personal ad found another like-minded zombie, Mildred, who just wants to be loved too. Outside of the zombie context, the story might not have worked. It might’ve been too sentimental or too schmaltzy. But DiPucchio and Campbell use Mortimer’s macabre tendencies to turn this lovely little love story into something subversive, engaging, and fun. When you present kids with a book where, on the penultimate page, two good-natured zombies are sharing a slice of brain on a moonlight picnic, I think that sends kids a great message. It tells them that sometimes you just have to let your freak flag fly and be true to yourself AND that there’s someone out there for all of us. It also tells them that our world is weird and gross stuff can be extremely, extremely funny, both of which… don’t lie… are absolutely TRUE. So, if your child is into monsters and you don’t think that some fun ghoulish humor will keep them up at night – I pity the parents of those obsessive kids who won’t be able to stop asking themselves, “But where do those brains come from?? ?” – Zombie in Love is a wonderfully romantic monster mash that is a blast to read with your kids. AUTHORS’ WEB SITES: Here’s a link to the official Simon & Schuster book page for Zombie in Love, which features excerpts and information on the authors. You can find Kelly DiPucchio on the web here and artist Scott Campbell can be found at Great Showdowns or at his blog PyramidCar.com. BUY IT, BORROW IT, OR FORGET IT? : If you’re a zombie fan or if you’re the kind of parent who keeps your kids away from YOUR action figures, just go ahead and buy this one sight unseen. Everyone else – I think it’s a fantastic book, but, if you can flip through a copy at a bookstore or at a library to make sure that your kid is into it, I don’t think that’s a bad idea. One quick note before my readalikes for this one. Some people, when coming up with related reading suggestions for Zombie in Love, might point their finger at any other monster-related picture book out there. Personally, I think that would be a terrible idea. There are a LOT of picture books that use monsters as a representation of some OTHER issue – fears, anxiety, family worries, etc. – and that doesn’t jibe with the monsters in Zombie in Love AT ALL. This book is all about monsters just being who they are, being true to themselves, and getting a lot of humor out of watching their odd sensibilities clashing with the world of “normal” people. (Think of The Addams Family or The Munsters.) So, in my opinion, a book on a kid overcoming his fear of monsters has NOTHING to do with a book like this. The Nightmare Before Christmas by Tim Burton – I mentioned Nightmare Before Christmas earlier and the picture book version, illustrated by Burton himself, really is worth checking out. The text is a macabre riff on the old “Twas the Night Before Christmas” poem and, while the text doesn’t exactly match up exactly with the movie – Sally and Oogie Boogie don’t really play a role – it does create a nice sense of playful fun while juxtaposing Halloween against Christmas. Frankenstein Makes a Sandwich by Adam Rex – This is a beautiful picture book that skews a little older than Zombie in Love (the text can be dense and it’s a bit more gory), but it’s a metric ton of fun and does a wonderful job celebrating the world of “classic” monsters. Rex – who’s a masterful illustrator – has written a series of very, very funny story-poems about monsters like Frankenstein, Dracula, and Wolfman and he illustrates each section in a different and unique art style. (The sheer variety of the art in this book is staggering.) It’s funny, it’s gross, it’s a celebration of monsters. What’s not to love? Thank you for writing such a great book, Kelly! My daughter will be OVER THE MOON to hear that Mortimer will be returning to her local bookstore! I’ll make sure that my review of “Zombie in Love 2: Honeymoon in Zombie Vegas” is even LONGER! As a Mo Willems fan, you must have read Leonardo, the Terrible Monster. If you haven’t, that’s another fun one, wherein Leonardo makes a huge decision. Whether it’s more important to be a scary monster, or a good friend. My youngest has been very into zombies lately, and we’ve also been having the monster conversation, so I think he’ll love this. So I took it out, which I now regret. So, thanks, Heather, for putting it right back in! I love this post! 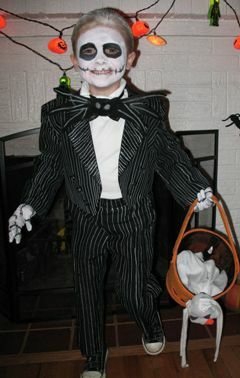 My child is a total Halloween junkie. He loves anything spooky. This past Christmas he decided all on his own that Santa Claus is really a zombie fighter. You can’t help but love the mind of a creative three-year-old. Anyway, I think I will buy this book for his Valentine’s Day treat.